The Syrian civil war is among the bloodiest conflicts of the 21st century to date. The UN estimated that 400,000 people had been killed in the ongoing fighting by 2016, the last year the organization tracked casualties in Syria. Millions more are either internally displaced or living abroad as refugees, and the country has suffered massive damage to its infrastructure, including water lines, the electricity grid, schools, and hospitals. But some areas in Syria have been spared the worst of the war’s violence, even as they suffer secondary effects like economic stagnation and rising crime. This includes the Druze-majority province of al-Suwayda in the south. Al-Suwayda residents are split politically, but ethnic and religious solidarity have kept these divisions from developing into armed conflict. Navanti researchers visited al-Suwayda this year to learn more about how civilians are faring there. 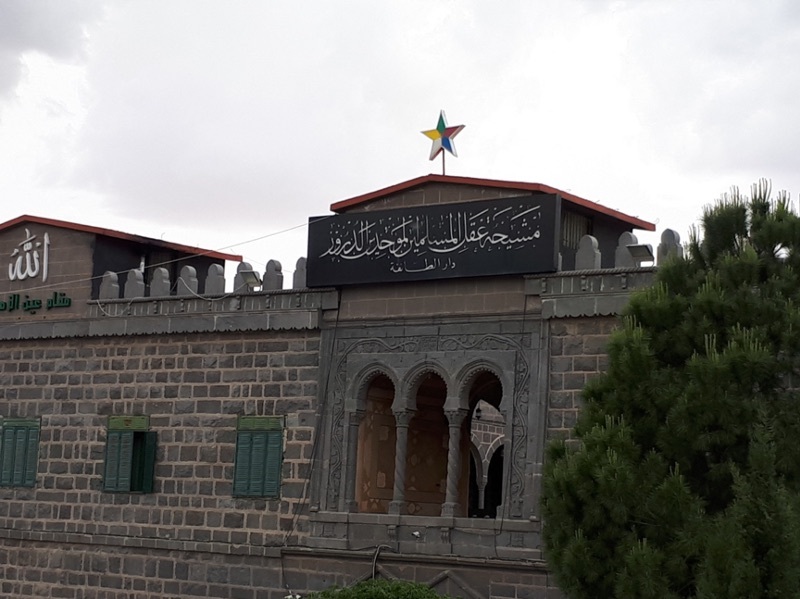 The majority of al-Suwayda residents are Druze, an esoteric religious group that has roughly one million adherents worldwide. Some locals are loyal to Damascus, others are sympathetic to the Syrian revolution, and a third category are neutral or avoid politics, but all are united in their opposition to allowing the war into their province. Local Druze religious authorities, which have divergent political orientations, exercise considerable influence over the population and share residents’ desire to keep the province free of fighting. The Men of Dignity Movement, a grassroots organization with no official religious designation among the Druze, is one such group. Formerly headed by a fiery cleric named Waheed al-Bal’aus, the Men of Dignity stand against any perceived aggression against the Druze of al-Suwayda, whether from rebel groups operating in nearby Dara’a province, ISIS — which has a presence on the province’s eastern outskirts — or from the Syrian government itself. Early on in the conflict, the Men of Dignity repeatedly raided government detention centers to free young Druze men who were being held for mandatory military service. Sheikh Yusuf Jarbua’ is the head of the province’s chief religious authority, the Men of Reason, which most residents turn to for spiritual guidance on matters large and small. As opposed to the Bal’aus family that heads of Men of Dignity Movement, Sheikh Yusuf Jarbua’ is considered to have loyalist political sympathies, and close relations with the Syrian government. But even some residents who support the Syrian opposition hold Sheikh Jarbua’ in high regard, because of his high position among the Druze and defence of his sect’s interests. R’afat al-Bal’aus and Yusuf Jarbua’, as well as other local religious figures, have prioritized keeping their communities safe over waging internecine political battles. While their efforts, and the support of residents, has kept al-Suwayda insulated from the worst of the war, the province faces a host of problems that threaten to undermine its hard-won stability, to be explored in part two of this series.